You’ve found the Bry-Air blog. We regularly post company and industry related news and information so check back often or find us on our social media outlets listed at the bottom of this page. Eric Fuss celebrates 20 years with Bry-Air, Inc.
With the highest level of gratitude, we at Bry-Air thank you, the Veterans and your families for your service and sacrifice to defend our freedoms and support our nation. 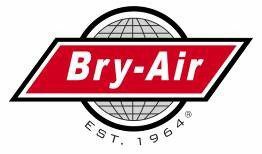 Ken Baker wins Bry-Air employee contest! Bry‐Air's products are improving! Last week several decisions were made during a committee meeting for Product Change & Improvement. The following items are being implemented as standard on Bry‐Air's VFB, EcoDry, and DC Series products: Hinged access doors in lieu of bolted access panels to improve maintainability and ease of service! 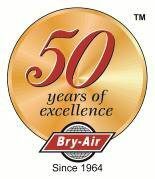 Access doors have been an option on Bry‐Air equipment for many years and we have listened to our customers who have told us they love the improved accessibility for cleaning and maintenance. Chain drives for rotors in units’ model 6 and up are replacing belt drive systems. This improvement adds longevity to our rotor system design reducing the cost of ownership for a Bry‐Air VFB, EcoDry, or DC system. Filter gauges will now be standard on all filter banks allowing visual verification of filter dirt loading. Clean filters improve energy efficiency and reduce the possibilities of rotor plugging from dirt due to lack of timely filter maintenance. A quick glance at these gauges will let our customers know if their filters are clean or dirty giving peace of mind that the Bry‐Air system is properly maintained for optimum performance, efficiency, and longevity.